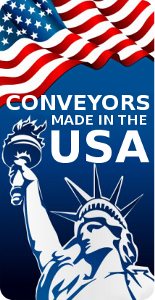 Ryson is the Number One, “Leading” Spiral Conveyor Manufacturer in the USA. Spiral Conveyors, save space and increase production. Ryson Spiral Conveyors offer many new features and benefits, based on new and innovative technologies. A Ryson Conveyor needs less floor space than the typical conventional conveyor. Due to their unique low friction chain slat belt it allows a smaller footprint for operation. Saving you valuable floor space. And they are faster and more reliable than vertical lifts and elevators. Ryson Spiral Conveyors offer many features and benefits. Ryson’s innovative modular design allows ease of customization and are easily and economically modified on site to accommodate unforeseen needs. Ryson makes all spiral conveyors to order and are available in four basic designs ( A, B, C and D), and will accommodate almost any requirement of in and out feed tangents, at the site location. All Spiral Conveyors can operate in a clockwise or counterclockwise rotation or be reversed. The length and position of the feed tangents can be customized to meet your requirements. The position and length of the feed tangent on down spirals can be customized to meet specific layout requirements. Samples are shown above (A-EX, B-MA and C-EX). Ryson Spiral Conveyors need less floor space than typical conventional conveyors. 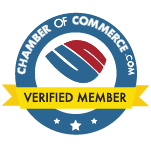 And they are more reliable and faster than any a conventional vertical lift or elevator. The new Ryson High Capacity Spiral have double the capacity and can go higher than our regular spiral. Load capacity is 75 lbs. per linear foot and speeds up to 200 fpm. With two tracks operating independently in one spiral, the “Dual Track Spiral” is the ultimate space saver. Each tracks can go up or down. Both tracks are reversible. A new 6” wide nesting slat can end-transfer small cartons and packages or side-transfer small bottles and containers in a single file or in mass at speeds in excess of 200 FPM. Overhead space is effectively utilized for dynamic storage and buffering while conserving valuable floor space. The Ryson Mass Flow Spirals are designed to handle full and empty bottles, cans, jars and other similar containers up to 2,000 per minute. A Solution for Multi-Tiered Product Flow. The “Multiple Entry Spirals allow loads to enter and exit the spirals from different elevations. All Ryson Spiral Conveyors are tested at the manufacturing plant before being shipped. Optimal performance is dependent on proper integration into the on-site conveyor system. The diameter of the spiral is determined by your load’s size. Ryson has a broad range of configurations and sizes that allow the Ryson Conveyors to be the ideal choice in any packaging, manufacturing, order picking, bottling, distribution, or warehousing operation. 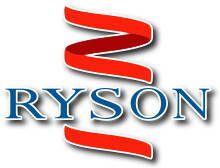 For more information about Ryson’s Spiral Conveyor Solutions, please call toll free (866) 403-5232. Ask to speak to Ronnie.